With a focus on the mining industry, Warren Fothergill guides us through the evolution of gas detection. Today, there are numerous variants on sensor technologies designed to detect almost any gas, whether toxic or flammable, to which we might be exposed or, in considering atmospheric issues to climate change, per Secondary Air Injection (SAI), such as oxides of nitrogen (Nox). With a wealth of technologies available, there have been massive advancements in gas detectors, including, but not limited to, infrared, electrochemical and photo-ionisation detection technologies. You can also add information technology (IT), which is now so advanced that the potential exists to utilise online technology to monitor the calibration and testing of detectors, to ensure all are working in the manner in which they were designed. It may seem absurd that gas detection has changed so dramatically over the years, but its history and evolution are phenomenal. Opinions on the methods used in the early days of gas detection are split. They are considered by some as irrational, while many would say they were obvious. The methods to which I refer are from an age before the information super highway and dot com industry, when fruits did not share their names with telecommunications giants, and inventions such as the light bulb were a thing of the future. From time immemorial, fuel has always been important to both industry for power, and to humans for heat. The industrial revolution brought fuel into the spotlight - its demand became a necessity. One such fuel used during the industrial revolution, which is still vital to us even in the present day, is the fossil fuel coal. 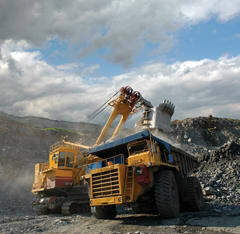 To source coal it was necessary to mine it from the ground, but with mining in such a primitive state in those days, this was a very labour intensive process. The economy of the day meant that mine workers were sourced from the young boys or older men of the local male population. As previously mentioned, Edison hadn’t yet invented the bulb, so miners wore flame lights on their helmets to provide visibility. Mining was, and still is, extremely dangerous. Even today exposure to hazardous atmospheres remains prevalent. One of the major issues identified by the mining community was the possible exposure to methane. The point at which miners identified the dangers of methane was when detection methods were explored. If workers were to live, methane needed detecting. Early gas detection methods were barbaric. In essence, the worker was the solution. Once the outgoing shift was accounted for and before the mine’s next intake, one unfortunate employee would cover his shoulders and head with a wet blanket while carrying, with arms extended, a long, flaming wick. This brave, apparently expendable soul would then enter the mine and tentatively move along the mine shaft. If and when a pocket of methane gas was found, the flaming wick would ignite the gas. Under his makeshift personal protective equipment (PPE) of a damp blanket, the human gas detector remained relatively safe. This illusion of safety was determined entirely by the gas pocket’s size, however. The highly flammable nature of methane meant that, upon discovering a large pocket, the gas would ignite the entire area - worker included. Workers were the first system of gas detection. While we can now conceive that this was at a high ethical cost, the general consensus was that it was better to lose one man than to lose an entire workforce, the harsh reality being that by losing just one life, mining could continue. Due to the dangers of detection and the tragic, frequent loss of life, this method obviously wasn’t feasible in the long term. Other methods were sought and next up was the canary. The canary has an extremely shrill and loud chirp and remarkably, closely resembles the part of the human nervous system that controls breathing. In the line of living gas detectors we had moved from humans to birds, but how did this new method actually work? Canaries offered a method of visible and audible gas detection. Miners would go to the area where their canaries were housed and look for a canary that appeared to be in the worst health. The cage containing the struggling canary would then be carried into the mine. It was said that when a canary was about to die it would start to shake the cage. If the canary did this, the miners knew to exit the mine. On the other hand, if the canary wasn’t making any noise they knew to exit urgently as something had caused the canary to die - potentially the methane. As we progress through time walk of gas detectors past, the next type of detection used was the flame light. One benefit of using a flame light is of course that it provided light, thus it enabled the miners to see in the mine. The flame was encapsulated in a flame-arrestor shell, so that there was no way the flame could ignite the outside atmosphere. On the outside of the flame light was a piece of glass, along which three incisions ran horizontally. Miners would always start, while in a fresh air environment, with the flame at the middle line. If the miners noticed that the flame was nearing the bottom line, they knew they were in an oxygen deficient environment. The flame would drop to the bottom line because fire thrives on oxygen; if oxygen was scarce the flame would start to extinguish itself. Conversely, if miners noticed the flame rising to the top line, they knew the atmosphere was either being fed by methane current or they were in an oxygen enriched environment. The flame light was the first evidence of scientific logic applied to gas detection. To this day, the flame light is still used to ensure a safe working environment. Some people can even recognise the type of gas present by the colour change in the flickers of the flame - this is very much the same as stack flares in the oil and gas industry. The mining industry pioneered gas detection - it was integral to mining safety. Other industries later followed suit, with gas detection applied in wastewater treatment plants, which possess numerous gases such as methane and hydrogen sulphide (H2S); oil refineries, which typically boast H2S, sulphur dioxide and hydrocarbons; chemical processes, and waste management, such as landfill. The gas detection method introduced by the mining community was not a ‘one size fits all’ answer. Given the diverse sectors of industry requiring gas or atmospheric detection, the gas monitor was introduced. The first of such gas monitors was a mechanism with a valve that analytically identified how much methane was present in the atmosphere, through a process called catalytic diffusion. Catalytic detectors are based on the principle that when gas oxidises it produces heat. The sensor in a catalytic detector converts the temperature change via a standard Wheatstone Bridge type circuit to a sensor signal, which is proportional to the gas concentration. The sensor components consist of a pair of heating coils: reference and active. The active element is embedded in a catalyst. The reaction takes place on the surface of the catalyst, with combustible gases reacting exothermically with oxygen in the air to raise its temperature. This results in a change of resistance. This methodology allowed the sensor to burn the gas inside it, but never allowed the burning process to occur outside of the sensor. The instrument was therefore able to accurately give a reading of how much gas was present. While the system was extremely robust and accurate, the constant need for monitoring required someone to manually press the button on the monitor to get a new reading. During the Eighties, sensors made from semiconducting materials gained considerable popularity, offering the possibility of ‘universal’ gas detection. Once again, working in a similar way to the catalytic sensor, they operated by way of absorption of the gas at the surface of a heated oxide, which was generally a thin metal oxide film. They are simple sensors and fairly robust, while also being highly sensitive and successful in the detection of H2S. This type of sensor was also utilised in domestic gas detection. This was the limit of their use, however, primarily due to the potential impacts of other gases, variations in pressure, temperature and humidity. If you remember when detection was first introduced to the home, there was a continuing need to ensure some form of maintenance. Today, catalytic sensors, typically electro catalytic sensors, are still widely used in gas detection. They are low cost and reliable, giving them value in the market place. Other systems are needed, however, as the diversity of analysis is critical. Modern day monitors need to measure not only methane, but other gases including oxygen enrichment or depletion - all simultaneously. We have now moved into a market where we can purchase infrared detection, thermal conductors, electrochemical and open path flammable infrared sensors and many more - all with potential pros and cons, as Figure 1 demonstrates. As you have seen, at one time in the mining industry the death of one man was seen as a necessity to prevent the death of an entire team. We can be pleased that any death in the workplace today is considered unacceptable. Sophisticated gas detectors are now among a number of technologies that exist to prevent workplace injuries and deaths. As these technologies continue to evolve, we can be hopeful that death in the workplace will not exist by the end of this century. It is important that workers know how to use gas detectors, and it is critical that each person working in a potentially hazardous environment understands just how important gas detection truly is. By spreading this knowledge, I hope to contribute to ending workplace death.